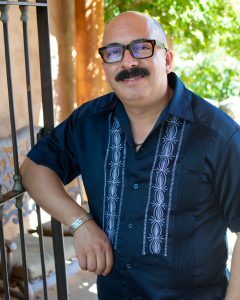 William Calvo-Quirós, SAR’s 2018 Andrew W. Mellon Fellow in Latino Studies, was one of three Americans invited to participate in the World Conference on Xenophobia, Racism, and Populist Nationalism in the Context of Global Migration (September 18-20, 2018). 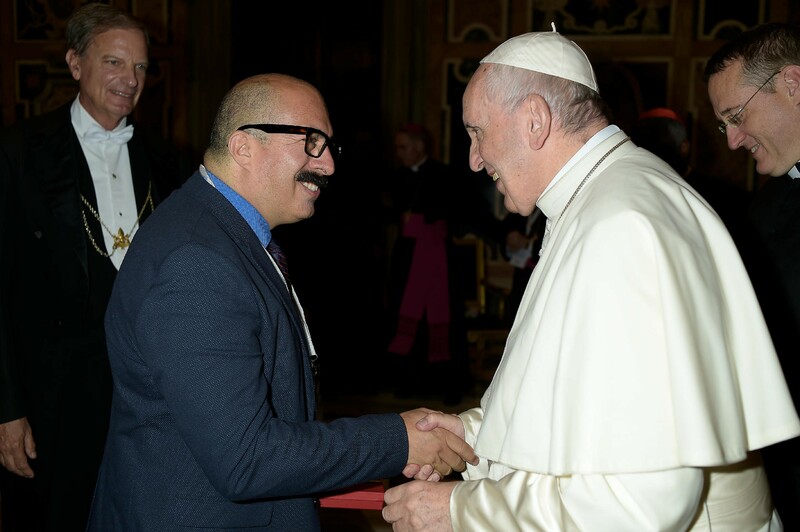 Joining over 230 experts from around the world, Calvo-Quirós worked with the other attendees for three days in Rome and in the Vatican City to explore the human experience of immigration and its relationship to the Catholic Church and other organized religions. 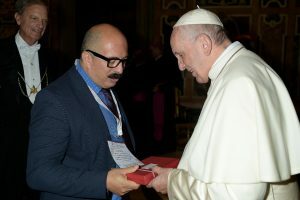 Jointly hosted by the Dicastery for Promoting Integral Human Development, the World Council of Churches, and the Pontifical Council for Promoting Christian Unity, this conference was the first of its kind. Being in this fellowship is so important because as I’m writing these chapters, I’m in a place where it is deeply Catholic historically and culturally, but at the same time, it is also deeply mixed. We have Indigenous, Anglos, and Latinos coexisting simultaneously. When I think about New Mexico, it is a community that has done a lot of work in the realm of inter-relationships and inter-religious experiences. If I go to Mass here, the Mass is in Spanish and English mixed together. It may help us to understand how the church could look in the future in terms of this kind of integration. At the same time, it is still very divided in terms of language and race and class and legal status, so that is also work that we need to figure out.